A significant number of Zimbabweans in the UK, who are not employed, are living large through online sports betting. 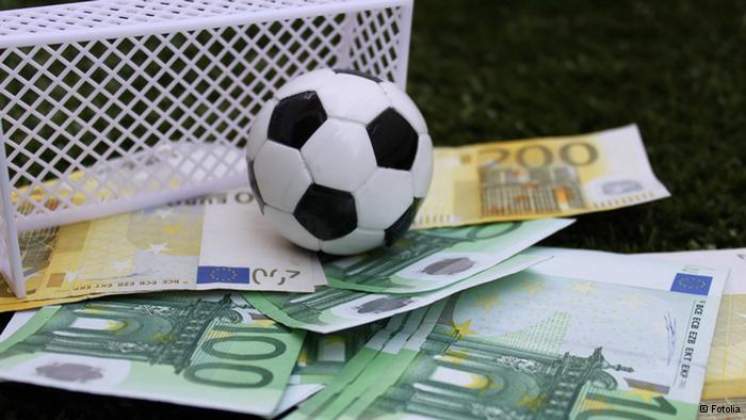 Scores of online sports bet shops are available for punters who often go for broke by stacking almost all they have based on instinct or a study of betting patterns. Mr Owen Matongo (37), who lives in London, yesterday told Bulawayo24.com that he has not worked formally in three years. "I make ends meet through online betting. I often Google recommended sites and play online. Bestbettingsitesuk.co.uk is among the highly recommended sites. It has a list of reliable online bookmakers that you can trust. I made a cool £900 in 2017 on the Barcelona Vs Paris St Germain game as the odds were stacked against Barca," he said. In the historic match, Barcelona overcame a 4-0 first round loss to crush the French 6-1 and proceed to the quarter finals of the UEFA Champions league 6-5 on aggregate. Mr Matongo said most of the bet sites were open to people resident in the UK and Ireland. "You just have to trust your instincts and sometimes go against logic to win big. I have many friends who live off gambling on such sites. We often share notes or insider rumours that may influence the outcome of events," he said. Mr Matongo said he knew of dozens of betting syndicates that pooled resources and spread bets across websites to maintain a winning streak. "Most of the syndicates are run by Zimbabweans or Nigerians. They bet on a large variety of sports that include soccer, horse racing, cricket and simple sports like snooker," he said. Mr Matongo said he was a loner who played the game by his own rules. "I pay my rent here in London, I take care of my brothers in Zimbabwe, I eat good food and I drive a decent car through sports betting," he said. However, a pastor resident in Manchester said no one makes money through betting. "It's a mug's game. If you are lucky enough to win sometimes, usually you lose all the money trying to win more," he said. In 2016, a lucky punter who placed a £100 bet on the "Joke-bet" that Leicester City would win the English Premiership walked away with £200 000 . The gambler cashed in on the unlikely 2000- 1 odds that bookmakers put on the likelihood of the foxes winning the EPL at the beginning of the season. The payout is said to be the single largest in British sports betting history.